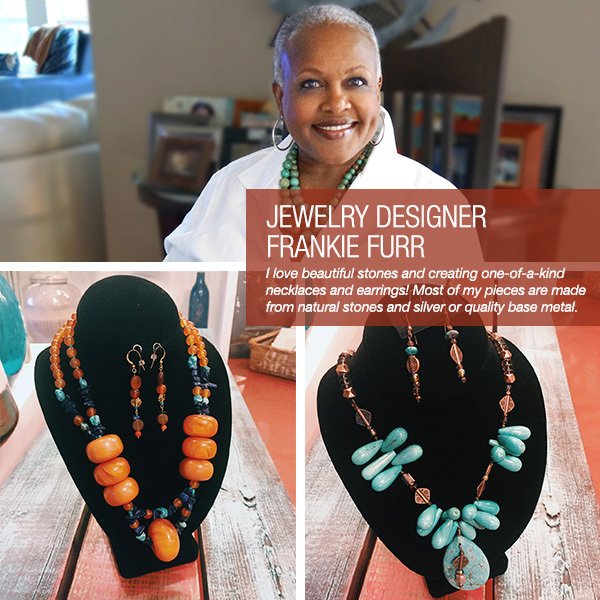 Come by and shop this week’s featured local designer Frankie’s Facets!Still searching for the perfect Valentine’s Day gift? You can’t go wrong with Frankie’s amazing jewelry creations. Each eye-catching piece is unique and popping with color! That special lady in your life will surely love it. *40% OFF all glass vases from now until Feb. 14th.